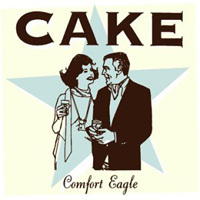 "I miss a rising action..."
Another classic from Cake. Retro sound, horns, semi-spoken vocals from John McCrea, the usual fare. There's a double entendre aspect with the title. There's a funky hook. There's a "na, na, na, na" part everyone sing along with. Citibank and Chrysler LeBaron references. The video has an interesting concept. As I recall there were two versions, one for New York and one for Los Angeles. The L.A. version is below. May I recommend the African-American gentleman from Venice Beach at the beginning, the unemployed guy by the river, and the recently divorced tattooed guy at the end.